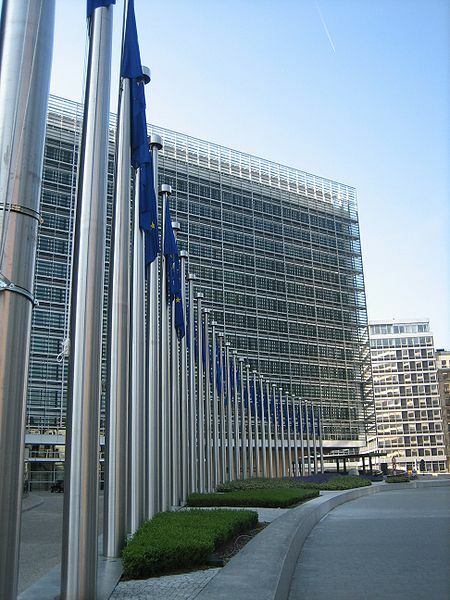 On Monday, 6 May, the European Commission passed a new ruling to regulate all plants grown anywhere in Europe. Many people fear this will mean some heritage vegetables and rare plants could die out completely. The Plant Reproductive Material Law restricts what vegetables and woodland trees can now be grown; and other plants could be restricted later. It is now illegal to grow, reproduce or trade any vegetable seed or tree that has not been tested and approved by a new "EU Plant Variety Agency". I only heard about this threat on Sunday, when I was asked to sign a petition to try to stop the ruling being passed. Of course I signed it - apparently over 200,000 other people signed that and similar petitions. The petitions and other forms of protest and lobbying did help bring about a few concessions to the new law. Last minute changes mean that home gardeners are still allowed to save and swap unapproved seeds; very small organisations and individuals can grow and supply/sell unapproved vegetable seeds; and seed banks can grow unapproved seeds without breaking the law. I guess it could have been worse, but there are clauses that mean the concessions could be removed later. Apparently the new rules must still go to Parliament for modification or approval, so there is a chance that some changes could still be made to the restrictions on seeds, so lobbying is continuing. Ben Gabel, vegetable breeder and director of The Real Seed Catalogue, said: "The draft law was truly awful, and it is good to see that the Commission have responded to the hundreds of thousands of citizens who raised their voices against it. They have made important concessions for home growers and small farmers, though it is a shame they did not think of them in the first place." I heard about this only last week. What the hell is going on? Pretty soon growing any plants in your own back yard will be considered against the law.